Picea is a genus of 30-40 species of monoecious, evergreen, coniferous trees occurring in forest in cool-temperate regions of the N. hemisphere. Spruce are commonly used as Christmas Trees. They have whorled branches and needle-like leaves set singly around the shoots, these leaves are persistent for a number of years. 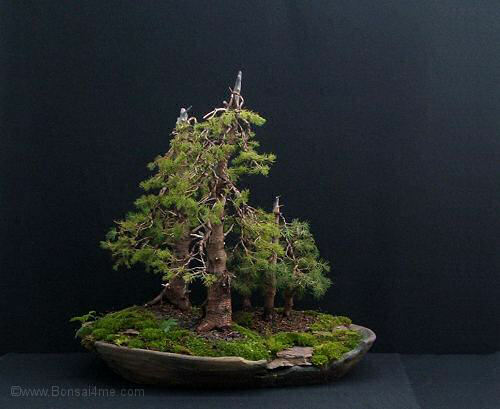 Picea are a difficult tree species to style as bonsai. Their habit of throwing out whorls of branches leads to bar branches and trunks can have poor taper unless care is taken in training, backbudding is rare so it can be difficult to keep the foliage mass close to the trunk. There are some Picea species that are more suitable for Bonsai cultivation most have short needles and respond well to Bonsai cultivation. Some species such as Picea glauca 'Albertiana conica' are naturally slow-growing and can take many years to develop. Probably the most frequently used Picea species for Bonsai is P. abies though P. orientalis, P. glauca and P. sitchensis/ Sitka spruce are of equal value. POSITION Full sun with shade from the mid-day sun during the Summer. Fully hardy to -10°C. Spruces are very tolerant of wind and benefit from good air circulation. REPOTTING Every two years in early to mid Spring just before bud-break. 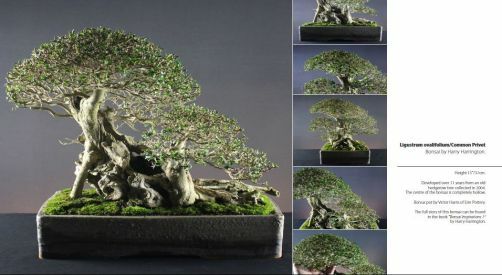 Older trees require less frequent repotting. Use a fast-draining soil-mix. Protect from full-sun after repotting. PRUNING New growth should be pinched out after shoots have extended to 2-3cm long, leaving 4 - 5 needle-clusters. Hard prune only in Autumn to reduce sap loss/bleeding. WIRING Wire only in Autumn and Winter as wiring during the Spring and Summer can result in dieback of branches. PROPAGATION Sow seed outside in Spring. Take ripewood cuttings in late Summer. Cuttings can take a very long time to strike. PESTS AND DISEASES Aphids and red spider mites. STYLING Suitable for all forms except broom in all sizes.